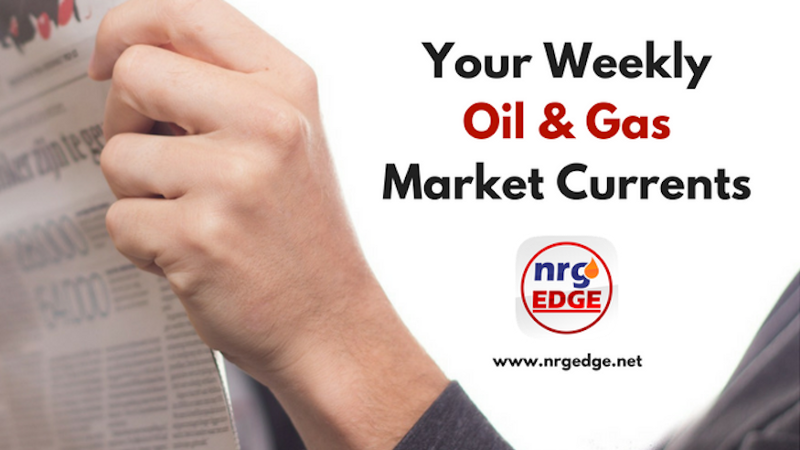 Crude prices enjoyed a series of gains last week, boosted by a return of confidence to equity markets and the dollar continuing to remain weak. Signs that crude inventories in the key storage hub in Cushing, Oklahoma were being drawn away to coastal shipping terminals for export have been taken as a sign that increasing American production is being met by increasing demand for American production. This has allowed the Brent-WTI spread to narrow to its smallest level in six months, as Cushing inventories shrank by some 3.64 million barrels and 2.5 million barrels over the last two weeks. Analysis by OPEC and its NOPEC allies have concluded that the supply glut is dissipating faster than expected on strong demand, expecting a rebalancing in 2Q or 3Q18. This lays the ground for OPEC to announce the phase out of the supply freeze deal at its upcoming June meeting in Vienna; more cooperation with the NOPEC block is expected, with UAE Energy Minister Suhail Al Mazrouei stating he hoped the alliance would ‘last forever'. A continued alliance would be necessary, in case surging US shale production thwarts plans and causes a global pivot back to over-supply. Further output growth is expected; the US is on course to hit 11 mmb/d production levels faster than expected this year, while major firms noted in their financial statements that global oil demand could reach 100 million barrels this year. The latest US budget deal also includes a little noticed tripling of carbon tax credit for carbon dioxide re-injection to increase crude output, which could accelerate shale production. The tax credit has been permanently increased to US$35/ton of carbon dioxide, up from US$10/ton. The US active oil and gas rig count was unchanged last week, as 7 new oil rig additions was offset by the loss of 7 gas rigs. Crude price outlook: Crude prices are set for a steady week, with Brent staying in the US$64-65/b range, while WTI settles within the US$61-62/b range. A standoff occurred in the eastern Mediterranean as the Turkish military allegedly blocked a drillship headed for an Eni wildcat in Cypriot waters; Turkey does not maintain diplomatic relationships with Cyprus and claims some of its waters, adding complexity in the rush to explore there. The US is set to launch its largest offshore auction in history on March 21, offering some 77.3 million acres in the Gulf of Mexico, hoping that interest will perk up after a similar sale last year attracted little attention. In the diplomatic quagmire that is the South China Sea, the Philippines and China have agreed to set up a special panel to address cooperation to jointly exploit oil and gas resources in the area. Bolstered by the discovery of the giant Zohr field, Egypt is turning its sights to the Gulf of Suez, partnering with Schlumberger to launch a seismic survey in the area to gauge hydrocarbon potential. Ahead of next month's crude oil futures contract launch on the Shanghai International Energy Exchange, the bourse has approved the use of six bonded storage warehouses across eight sites in China. In a surprise move, President Donald Trump indicated that he would support a US$0.25/gallon increase federal gasoline and diesel taxes to pay for infrastructure upgrades, the first increase in the tax since 1993. A fire broke out at the Isla refinery in Curacao, halting production at the catalytic cracker, complicating the situation as the island chooses between extending its deal with PDVSA or go with new Chinese investors. Even as Egypt makes steps to becoming natural gas self-sufficient, Israel has agreed to supply some 64 bcm of gas from the Tamar and Leviathan fields to Egypt's Dolphinus Holdings to create greater energy security. Woodside has bought ExxonMobil's 50% stake in Australia's Scarborough field for US$744 million, and aims to raise some US$1.96 billion to develop the remote location that could fuel expansion at Pluto LNG. Just as Eni speeds ahead with plans for Zohr, BP has begun gas production at Egypt's Atoll Phase One, producing some 350 mcf of gas and 10,000 barrels of condensate seven months ahead of schedule. BP has also moved closer to developing the Tortue gas field in West Africa with Kosmos Energy, after Mauritania and Senegal agreed to a production split deal to govern output from the cross-border field, expected in 2021. LNG exports from Peru's Pampa Melchorita facility have resumed after a pipeline rupture suspended supplies from the onshore Camisea fields. Kogas is seeking arbitration to amend its LNG contract with the NW Shelf Australian venture, a bold move that could encourage other Asian buyers. Saudi Aramco's impending IPO has attracted the attention of Russian banks and a joint Russia-China investment fund in a move that could deepen ties between the two giant oil producers. Petronas CEO Wan Zulkiflee Wan Ariffin has had his contract renewed for a second 3-year term, underscoring his success in leading the firm.